Remember when Google unveiled its KitKat bugdroid statue at its Mountain View, California headquarters? We didn’t know when Android 4.4 would make its way to Nexus devices, but the time is soon. 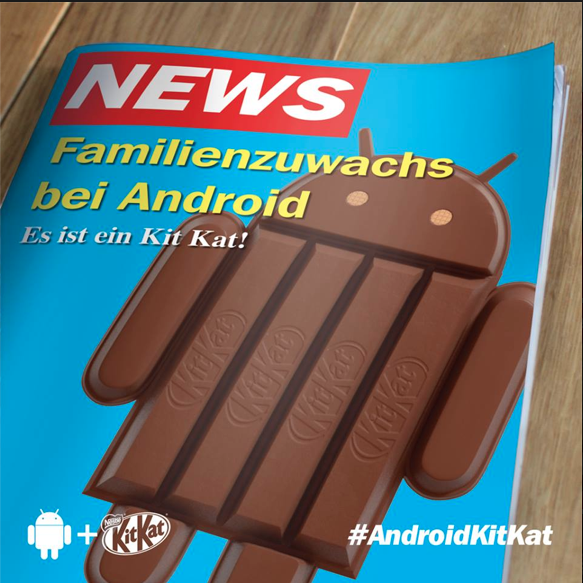 This week, the German KitKat division outed the arrival of the new Android 4.4 KitKat update. Google is known for delivering a new OS update alongside a new Nexus, seeing that the company announced the Nexus 4 at the end of October 2012 before releasing the Nexus 4 in mid-November. While we know October is now the target month, we need to pin down a specific date. There are rumors regarding the specific day Google will release Android 4.4 KitKat. What Can We Expect From Android 4.4 KitKat? 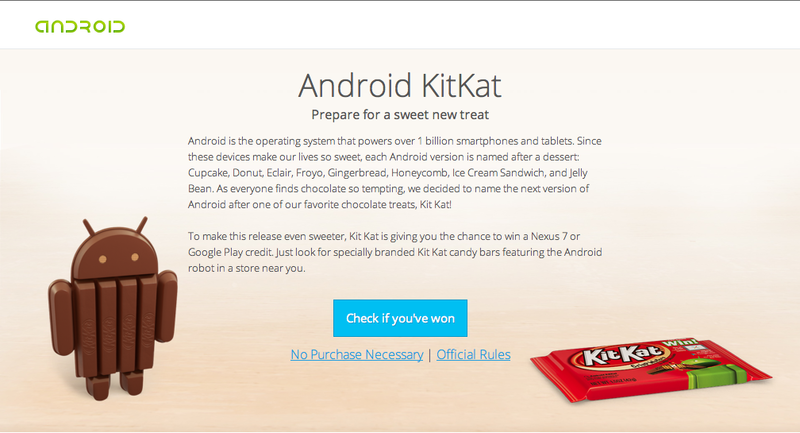 According to Australian Android site AusDroid, Nexus owners can expect to see Android 4.4 KitKat available for download on October 14th. This seems to be two weeks earlier than Google’s announcement last October. The Nexus 4 was unveiled last October, so we’re more than confident that Google will at least announce the Nexus 5 (a recent benchmark test confirms the name) next month before releasing it this November. As of this week, the Nexus 4 and Nexus 10 have been seen strutting the Android 4.4 update – which means that both the 2012 and 2013 Nexus 7 are not too far behind. While seeing a Nexus 5 next month is possible, as photos and videos increase, it could be the case that a new Nexus 10 (made by ASUS, not Samsung) will be released next month as well. This is the question that is on the mind of every Android user: what new features will Android 4.4 KitKat offer that add to the user experience from Android 4.3 Jelly Bean? AusDroid provides some small details. First, Android 4.4 KitKat will make the new update available for older phones, preferably those that are 2 years or older in age. This corroborates what Google’s own Android 4.4 KitKat page says: “It’s our goal with Android KitKat to make an amazing Android experience available for everybody.” This may put an end to iOS 7 adoption bragging rights. Next, Android 4.4 KitKat will come with a screen resizing feature that will accommodate various screen sizes. One thing that some have said about Android is that developers often release applications that are more fitted for some devices than others, as is the case with my FIFA 13 soccer app on my Nexus 7 tablet. It seems as if Google will attempt to ensure that its Play Store apps will be fitted for any screen size (whether 4-inch, 5-inch, 6-inch, 7-inch, 8-inch, 10-inch, or even the 12.2-inch tablet we believe Samsung is manufacturing at the moment). This is a lofty goal indeed, but if anyone can do it, it’s Google. Are you tired of your current photo gallery appearance? In Samsung’s Premium Suite Upgrade (Android 4.1.2), Samsung decided to give its Galaxy users a 3D spiral layout that puts some excitement into viewing your photos and videos. With a few “twirls” of the photo collection, you can view videos and photos at a glance without having to click on or scroll through a myriad of pictures. Google, apparently, has picked up on the idea of a photo gallery transformation and wants to do the same thing for all Android users (not just Samsung users) in Android 4.4 KitKat. One thing I appreciate about Samsung’s Premium Suite Upgrade is that it did away with the black background in the photo gallery and brought a light blue shade that highlights your photos and images – without making you feel as though your photos and images are drowning in the background color. Hopefully, Google will remove the black background, whatever it chooses to do. It seems that color customization has become a new trend for smartphone and tablet manufacturers, with many producing new colors for gadgets that have never been seen and sold before under company branding. Best Buy, for example, will soon sell a blue HTC One model (if the blue HTC One has not arrived already), and Apple’s latest iPhone 5C, plus the gold/champagne iPhone 5S, shows the company’s commitment to color. Samsung has emerged with a purple Galaxy S4, and its waterproof GS4 Active line has urban grey, orange flare, and dive blue models. With Android 4.4 KitKat, Google will take customization to a whole new level. Most manufacturers promote colored hardware, but Google looks to implement some color changes into the software. The typical blue that has been known as default Android will give way to “other preset palette colors,” a sign that users may be able to choose their Android OS accent. Much to the celebration of many, Google will release new notification widgets in Android 4.4 KitKat. It makes sense that Google would allow these new widgets to make their way onto lock screens, since Android 4.2 Jelly Bean did this in stellar fashion. There has been no word on what kinds of new widgets we can expect, so prepare to be surprised. Is there anything you want to see in Android 4.4 KitKat? Do you think there will be some new surprises, or do you think that the best of Android will be found in Android 5.0 Key Lime Pie? Give us a shout-out in the comments.